Small-town festivals in the Northeast possess a somewhat mystic quality to them. The old-timey feel and farmer’s market-style set up of the Old Mystic Garlic Festival will make you feel like you’re back in the early days of New England. In Olde Mistick Village, you’ll find delicious interpretations of your favorite garlic dishes, fresh produce set up like a farmer’s market, music, and more! It’s a great vacation activity if you’re in town for it or a wonderful event for weekenders! Here’s what you have to look forward to at the Old Mystic Garlic Festival! When you’re looking for things to do in the Mystic, CT, area, be sure to download our free Vacation Guide! It has everything you’re looking for and more, and is sure to help you plan a great vacation to our quiet corner of Connecticut. At Stonecroft Country Inn, we want you to have the very best vacation here! The 10th Annual Old Mystic Garlic Festival is a celebration of local agriculture, community, and, of course, garlic! Come out and peruse the goods and entertainment in Olde Mistick Village. More than 50 vendors, farmers, bakers, and artisans come together to proffer their products to festival-goers searching for a delicious dish or festival memento. Browse the local produce, preserves, jams, baked goods, prepared food, crafts, concoctions, and more! All day entertainment at the Old Mystic Garlic Festival comes in the form of musicians playing a wide variety of music all weekend. In addition to music, there will be activities for kids, a live birds of prey program, a martial arts demonstration, and a reptile show. It wouldn’t be called the Garlic Festival if it didn’t have garlic-inspired food at every turn! To honor the humble allium, Olde Mistick Village restaurants will prepare their best garlic-inspired dishes for your enjoyment. Sit down to a delicious meal and celebrate the inimitable flavor and heritage of garlic! Saturday | 11 a.m. to 7 p.m.
Sunday | 11 a.m. to 6 p.m.
Olde Mistick Village in Mystic, CT. 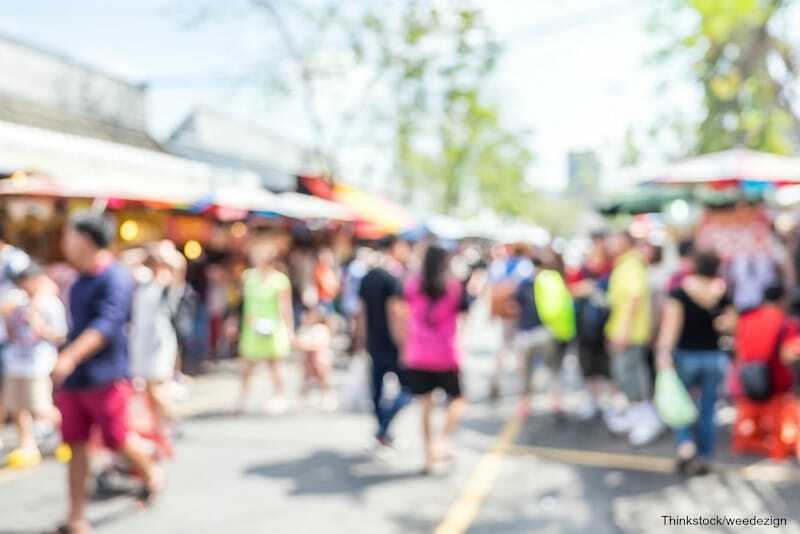 Whether your plan is to come to our quiet corner of Connecticut on vacation or make a weekend visit, the Old Mystic Garlic Festival is a great way to spend a day or two. Delicious food, a relaxed atmosphere, and fun culture are all part of what you’ll find here. It’s the perfect fall getaway, too! Just up the road in Stonington, you’ll find one of the best places to stay in Connecticut: Stonecroft Country Inn. 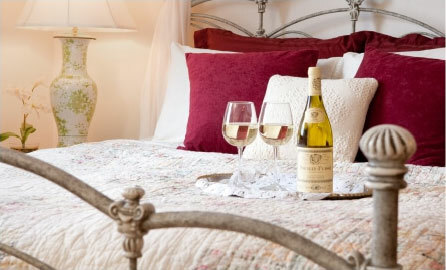 Our historic, beautiful inn is luxurious and laid back at the same time. You’ll melt into our beds and slip away into a relaxation you haven’t felt in a long time. 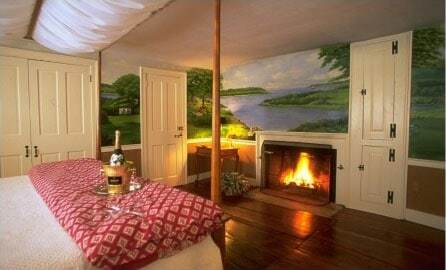 So, browse our available rooms and suites and see how easy a vacation to Mystic can be. We are eager to host you, so contact us today to book your Connecticut getaway.